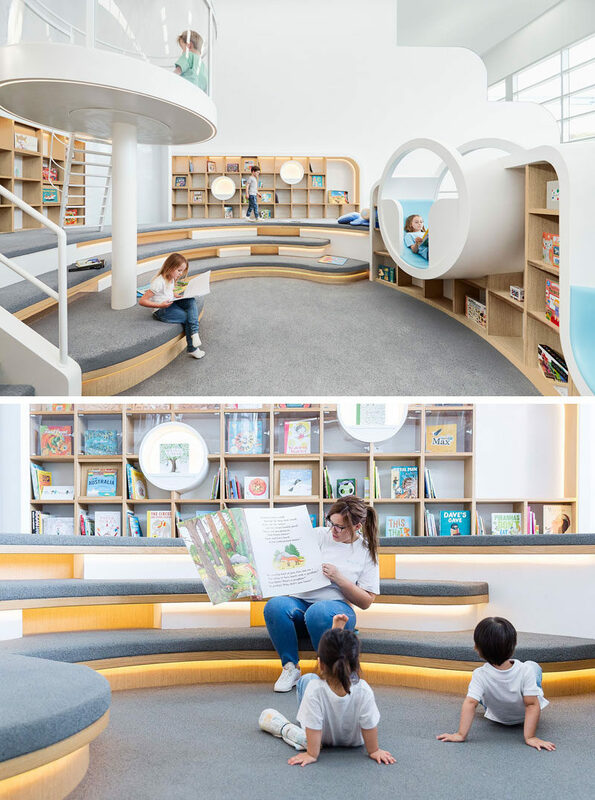 Design studio Frost*collective have worked together with Joey Ho and Patrick Leung from PAL Design Architects to create NUBO, a fun and exciting children’s play centre in Sydney, Australia. 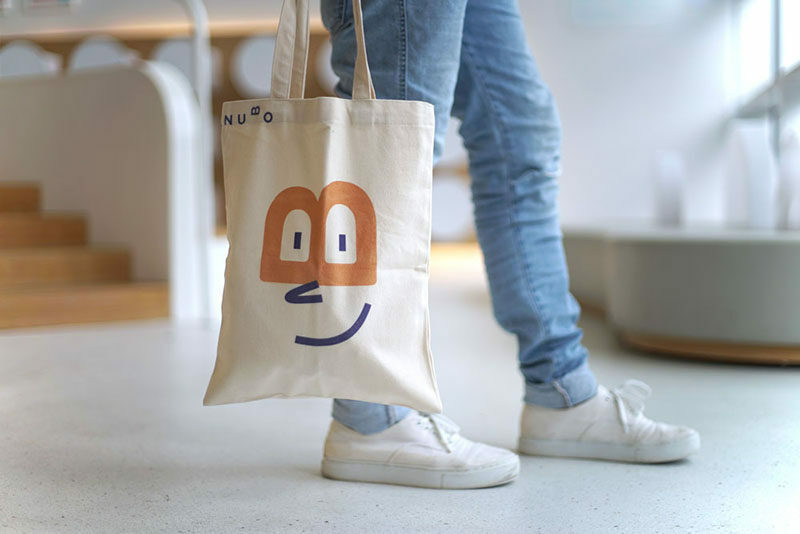 Working closely with the team at NUBO, Frost*collective created all of the branded elements of NUBO, while PAL Design Associates set out to create an environment for the children that would be a beautiful and innovative space. Inside there’s a variety of different rooms, each with a unique look designed to evoke imagination. The main room, as seen below, has an area for parents to sit and watch their children play on the climbing structure and slides. 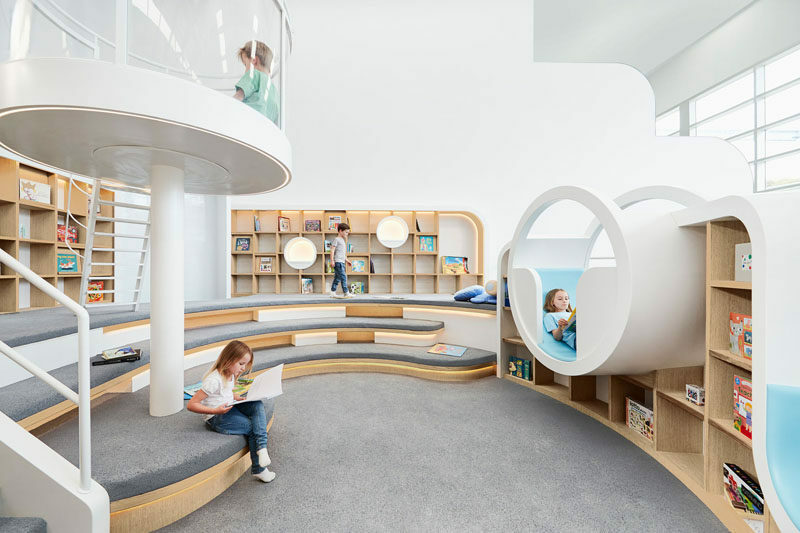 In a smaller play area, a simple color palette of wood, white, and blue (and a touch of grey) make up this fun space that includes a slide that ends in a ball pit, as well as stairs and small nooks, perfect for kids to play in. 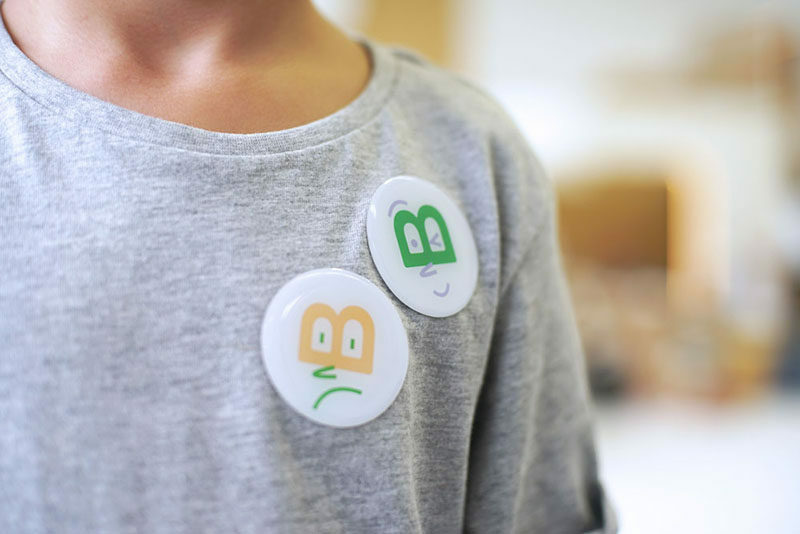 There are also playrooms that have been set up for art activities. A soft blue ombre wall almost looks like the sky, while a peg board wall and cabinets are home to craft items. 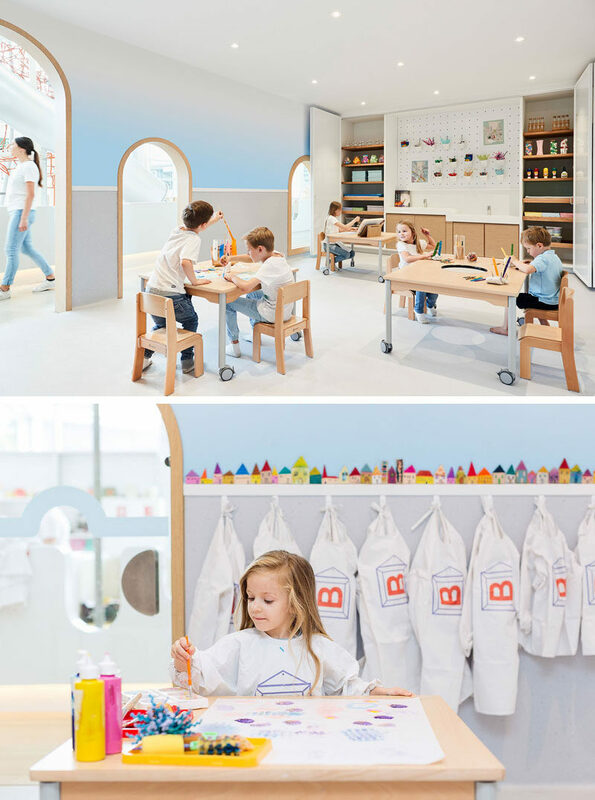 In another playroom, there’s a single long table on wheels for groups of children, and curved wood details along the walls spark the children’s imagination and allow them to believe they could be buildings, mountains, or anything else their minds think of. 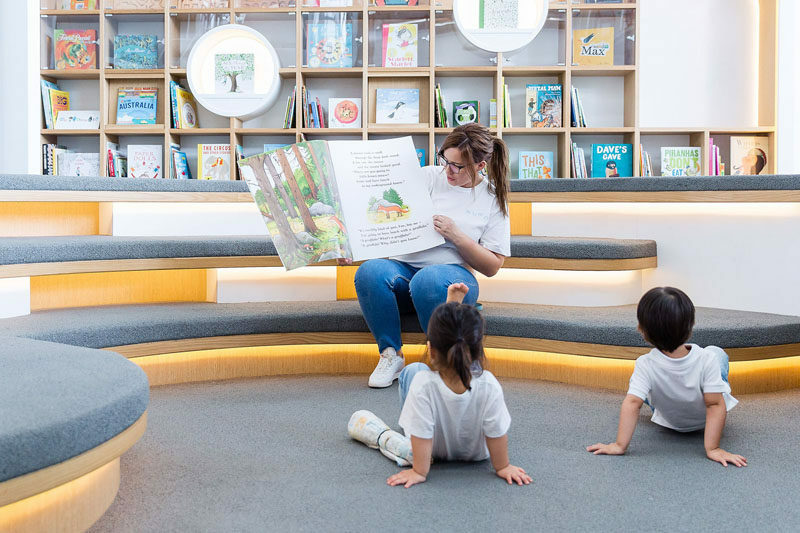 There’s also a quiet room with a library of books, where the children can sit and read by themselves, or with an adult. Tiered seating with upholstered cushions and hidden lighting creates an ideal space for storytelling. 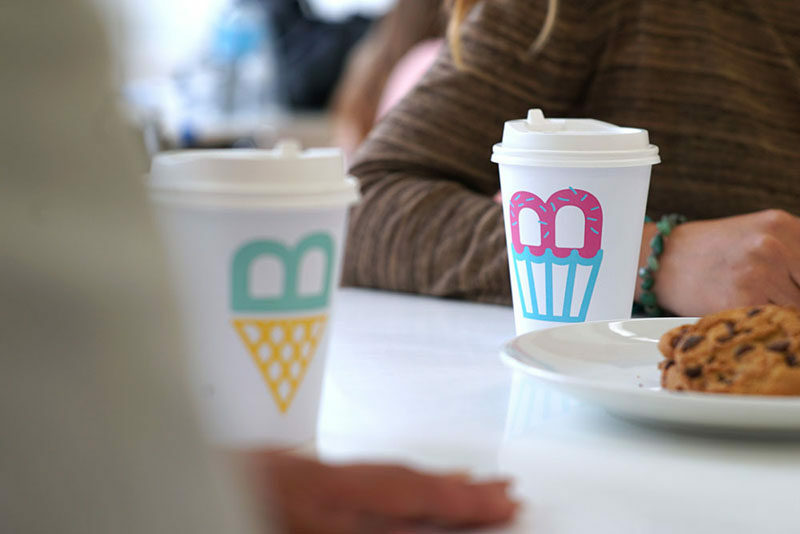 Here’s a look of some of the branded elements that Frost*collective designed.